I’ve mentioned other places about how in the US market, we have been pretty lucky with releases of our favorite shows. I am mostly referring to how we seem to be a Blu Ray friendly market especially in terms of British television. There have been a lot of programs released over here that has not been released in the UK on Blu Ray. This is great for us but not so great for fans in the UK. As I have been writing reviews, I get e-mail from people in the UK asking me to check Blu Ray discs of George Gently or Poirot to see if they are region locked. When it came to Doctor Who fans, they had been pretty lucky getting Blu Ray releases of our favorite series but there is one program that they weren’t so lucky with getting in a high quality HD format. This review covers the US Blu Ray release of this special. 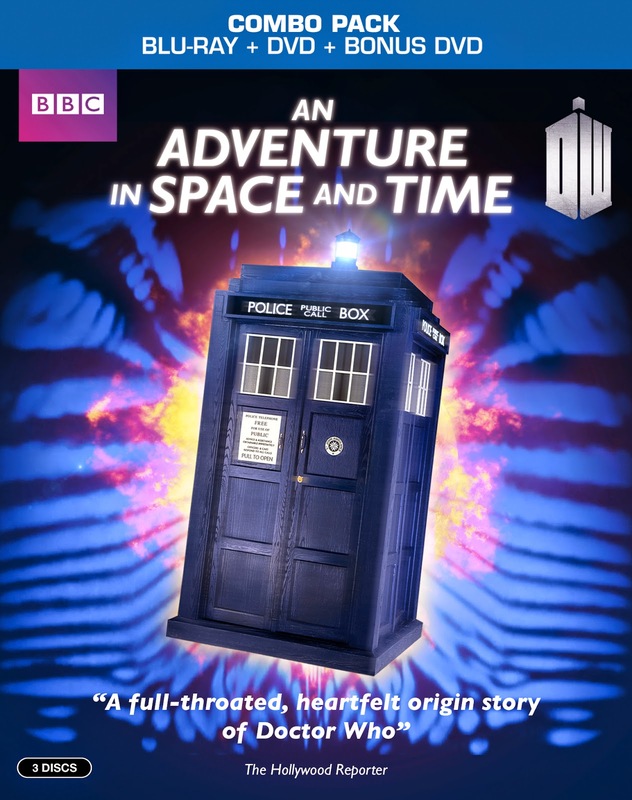 An Adventure in Space and Time is a program that a lot of people have been waiting for a long time to see. It is the story of the conception of Doctor Who but seen simultaneously with the story of William Hartnell who played the original Doctor. There was a time when Doctor Who was not seen as an alien who could change his appearance and was part of a super powerful race that were almost gods upon the universe. In the beginning, Doctor Who was a program that focused on stories from our past plus stories set on magnificent alien worlds. The Doctor wasn’t a known menace to all the malevolent forces in the universe, he was a scientist and an explorer. It was very simple. This was the story of where all that started. The phrase, “An Adventure in Space and Time”, actually comes from program listings of the Radio Times. The Radio Times was a magazine produced by the BBC to let British viewers/listeners know what programs was coming up on their various channels. From 1923 to 2011 it was solely a BBC product but that is no longer the case. 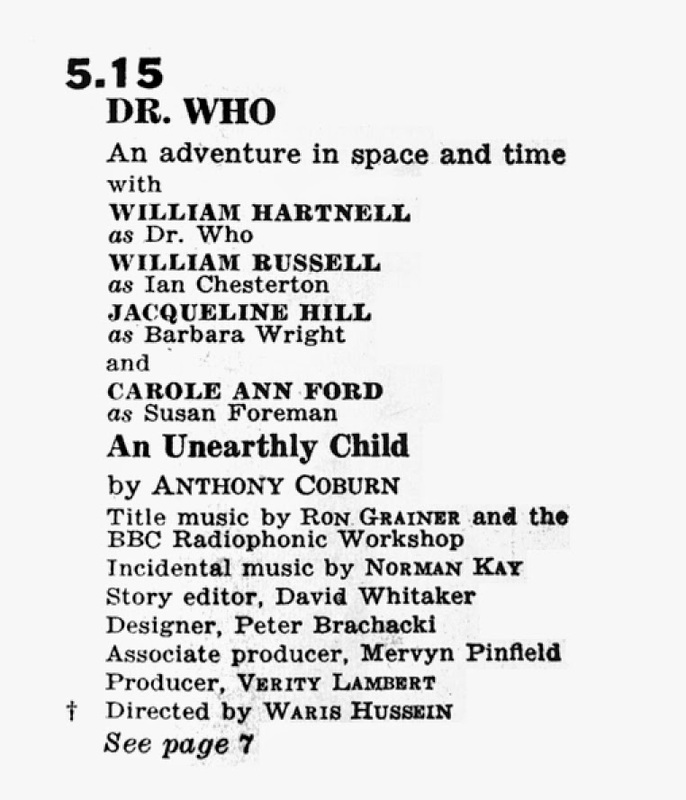 From the time Doctor Who series started until Episode 10 of The War Games in 1969, every listing for Doctor Who gave the heading “Dr. Who” along with the sub-heading of “An Adventure in Space and Time”. I love that phrase because it is mysterious. It could mean anything and I think it is great. That was the perfect title for this program. The film starts with a BBC Continuity close to the style of the time of the first episode broadcast in 1963. I think what it is really saying that this is a fictionalization of the events of the time period covered in the film and certain liberties have been made. Yet, what I think it is really saying is for purists like me is to just relax and enjoy the film! Duly noted! Although Doctor Who started in 1963, the film begins in 1966. We start off with the recording of the final regular story William Hartnell appeared in, The Tenth Planet. It’s as he walks into the TARDIS set for the final time he remembers where it all started for him and it is also our journey back to where the story began for Doctor Who as a series. It all begins with Sydney Newman. For all intents and purposes Sydney Newman is the creator of Doctor Who. It was him that got things going but as the series progressed in conception it became a bit more of a group effort. The one thing (as a purist) I needed to remind myself when seeing this was that dramatic license was needed to be taken in the film. There are times where this bothered me….a lot. That being said, I understand that this was necessary. Just look at how this film starts. It goes from Sydney bringing in Verity Lambert to start production on the series to actually recording the first episode really quickly. To paraphrase Douglas Adams, “The BBC is big, really big.” This film needed to get a lot of things done in 90 minutes. It needed to tell how Doctor Who was just an idea and how Sydney assembled a team to put it together. It told the story of William Hartnell who was tired of the type-cast roles he was playing and wanted something different. These pieces needed to be simplified or the production would have been mired in the minutia of how difficult it was navigating through the BBC. The story of Doctor Who in some ways takes a backseat as it is more of the story of the people who made an impact on the series. Sydney Newman is portrayed as a breath of fresh air the BBC which he was. He made a further impact by bringing in an unknown production assistant he worked with at ABC named Verity Lambert. Woman in roles of importance at the BBC were few and far between. I can only think of a few and one who played a big role in things at the time this film took place was Joanna Spicer. I was disappointed to see she was not represented in the film. As production gets underway, Verity is brought in to get things going. Immediately she is in conflict with Director/Producer Rex Tucker who sees her as someone who could probably get him some coffee. He was brought in to help get things moving until a permanent producer was named. This is one of many moments throughout the film where things could have turned out much differently. 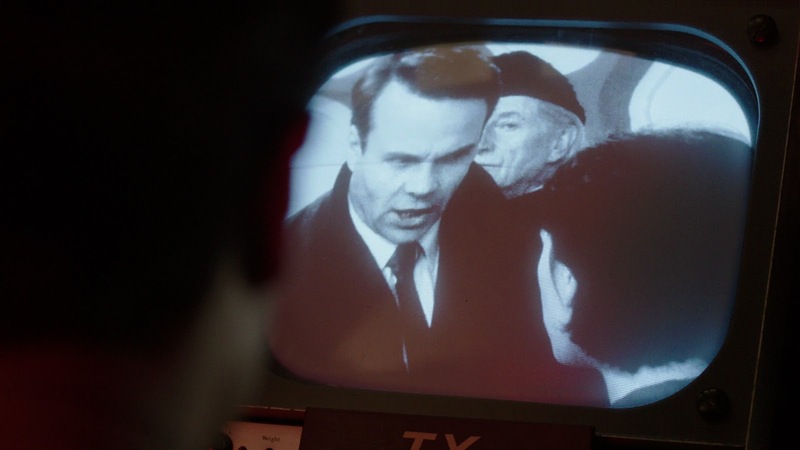 If Verity was a meeker person who just took the advice of Rex Tucker to stay out of the way, what would we have? She stood up to him and also Mervyn Pinfield who was politely telling her it may be a good idea not to dismiss advice she was given but she was too strong of a person to allow that to happen. We meet the first director for Doctor Who, Waris Hussein. He just came off from working on Compact and was eager to do some good work. It is clear that not only Verity and Waris had an instant rapport but they were on the same page with what they wanted Doctor Who to be as a TV series. They both understood the tremendous opportunity they were given. It is interesting to see Verity clearly fancied Waris and did not see right away that he was homosexual which was illegal at the time in the UK. 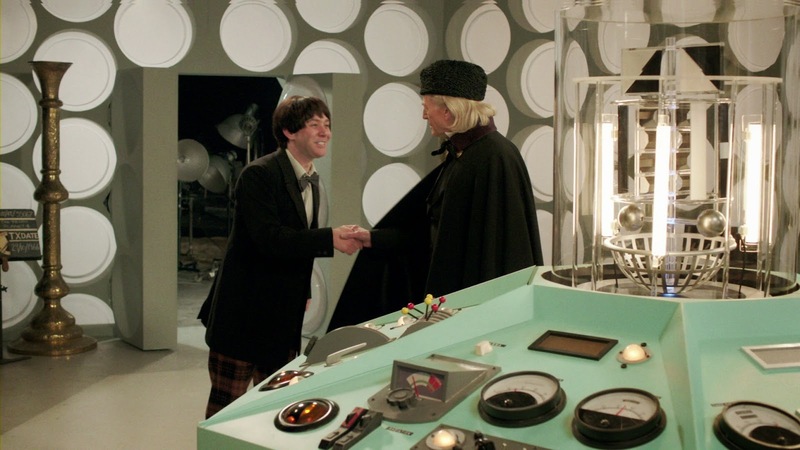 The two of them meet the man they want to play Doctor Who, William Hartnell. 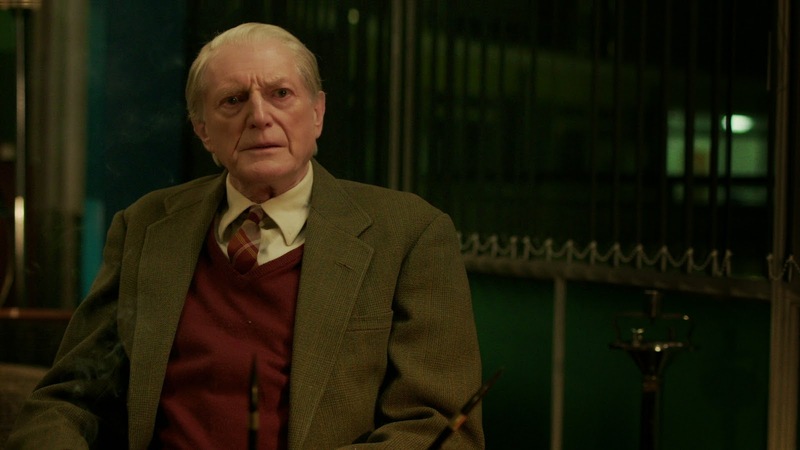 Played by David Bradley, I think he does a great job. It’s tough because there is only one visual interview that exists that we can see what Hartnell’s mannerisms are like so it is really tough to play someone with so little reference material. There are times I see him and think he only has a passing resemblance to Hartnell but then there are some shots and he is almost dead on. It’s actually quite eerie. 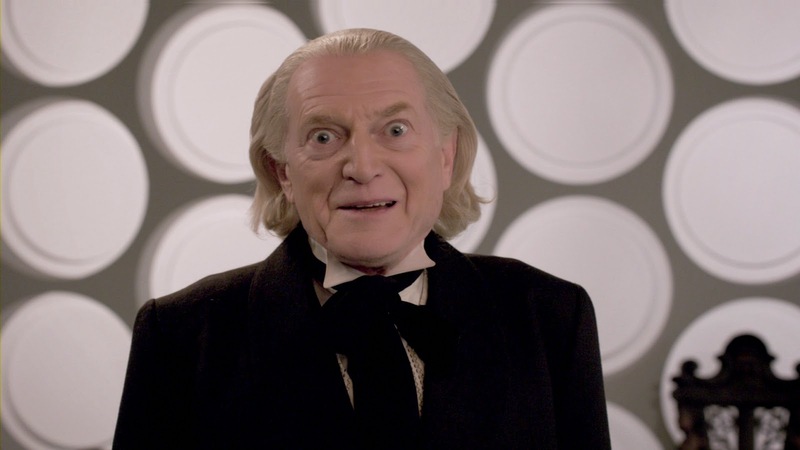 I actually think he looks more like Hartnell from around the time of The Three Doctors. Of course, in the “making of” on this disc, Carole Ann Ford says how emotional it was for her to see Bradley play Hartnell. I think she approved and if it is good enough for her, it is good enough for me. When we meet Hartnell in the film, I wouldn’t say he was down on his luck but he was at a crossroads with his career. He was tired of being type-cast in army roles and being a tough guy. We see him watching an episode of a series he was in The Army Game. He reminds his wife Heather that he is a legitimate character actor of stage and film. He is not happy where his career is going and it is clear that when Hartnell is down, everyone by virtue of being in his presence ends up being down (or traumatized) too. I think it is clear that Hartnell was a good man but would get preoccupied when things weren’t going well and that is seen a few times throughout this film. Then, one day Heather receives a call from his agent to meet about a new role. 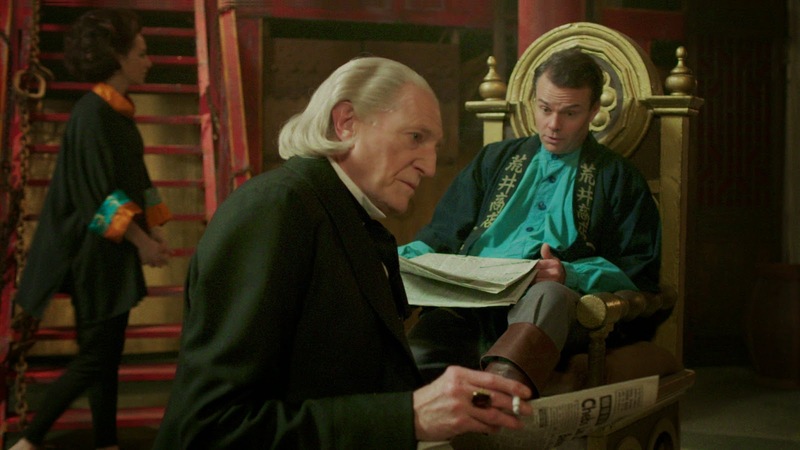 There is a great scene that takes place in a Chinese restaurant where Waris and Verity are trying to sell Hartnell on the prospect of playing the role of Doctor Who. They really talk it up and I think there is a wonderful piece of storytelling to keep the story moving forward. Verity is proclaiming all the great things about what Doctor Who will be and she points out some of the great features of the new production. While this is happening, we get a montage of these pieces. Some good and some not quite a slick as Verity is promising. All of this is accompanied by one of the most unique and wonderful pieces of music ever, the original theme music to Doctor Who. It’s a moment that all fans should get the chills from. I think it is so easy to take for granted this amazing iconic series but this scene ties all these amazing elements together and 50 years later, they are still prominent in the program. It’s not a big part of the scene but it is worth pointing out that Hartnell was a product of his time. In the restaurant, he makes a mild racist remark to the waiter to get him a drink. He may had never even saw it as racist though it is well-documented that this was part of his personality. I think it was wise that the production did not make this a big part of the film. Perhaps it is too easy for me to say for me to rationalize this with Hartnell coming from a different era, yet I am glad it was at least touched upon. Verity seems to sum up the role to Hartnell at the restaurant in a way he couldn’t refuse. The character was the mix of C.S. Lewis meets H.G. Wells meets Father Christmas. I am not sure if Verity actually said this but it works for me. As production gears up to record the pilot, we get a press call with a photo op with the new cast to this odd little series to be called Doctor Who. Along with Hartnell there is Carole Ann Ford, Jaqueline Hill, and William Russell. 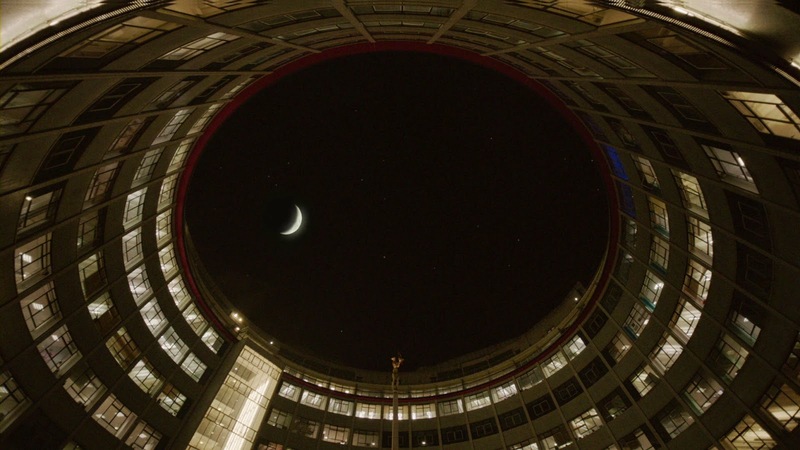 Shot outside the “concrete donut” of BBC Television Centre, this scene recreates the famous photo call. This is photo op “set up” is also used as the film progresses to emphasize the many changes to the cast while Hartnell is in the role. A great deal of time is spent with getting the work of the first few stories ready for production with an emphasis on the pilot episode. This is really a treat to the eyes of Doctor Who fans. We get amazing recreations of sets from the early stories. We see the I.M. Foreman Junkyard but we get the TARDIS interior. This beautiful recreation of the set is simply stunning. Seeing it in HD is a real treat and once again reminds me of how groundbreaking this set was. We get into studio at Lime Grove to shoot the pilot and we see all the things that went wrong with the production. It is evident that production did not go well for them as we know the Pilot episode was re-mounted but it was not quite as bad as how it is made out in this film. The production comes to a halt because the sprinklers go off, it is known that if the studio got too hot, this would happen but this was not the case in the recording of the pilot episode. Nor was there a Caveman on hand for the recording. The shadow of the caveman against the TARDIS was shot on film prior to the studio recording. We get to see some of the famous arguments that have since become legend in the history of Doctor Who. There is the famous argument between Sydney Newman and Verity Lambert about the Daleks. When Verity took on the job of producer, she was told by Sydney that there were to be no BEMs on this program, BEMs are Bug Eyed Monsters or robots. 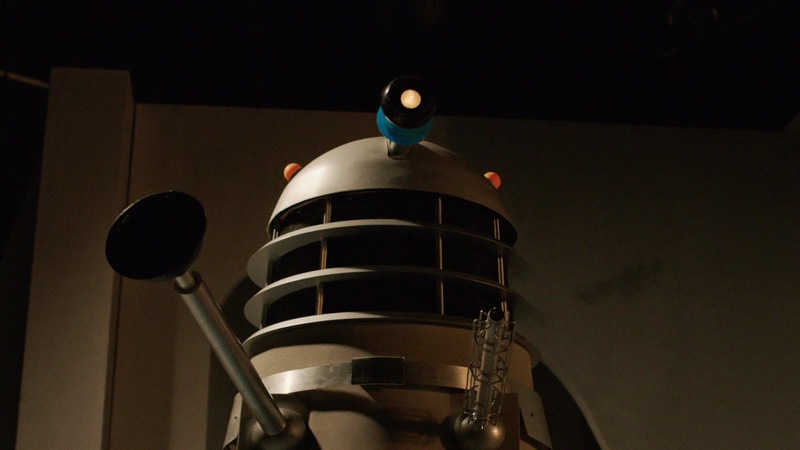 The Daleks was a story that Verity had commissioned from Terry Nation. Even though the Daleks, at first glance, could qualify into this category, Verity saw that they were so different. Sydney is furious about this story going into production but Verity stands her ground. The story goes into production and the rest is history. There is a wonderful mis-direct that has fooled me almost every time I watch this. Sydney is reading the script to The Daleks and is reading the description of what they are. 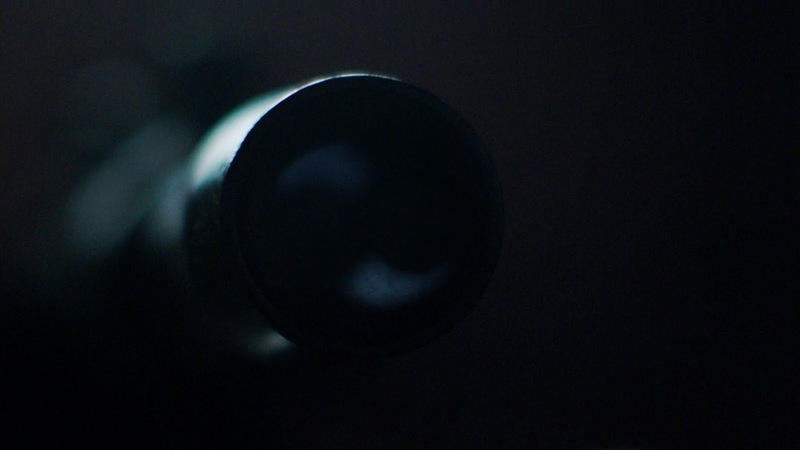 As he reads it, it almost looks like we are seeing a Dalek up close but it is in fact the rifle of Lee Harvey Oswald getting ready to shoot Kennedy. Visually awesome! The recreation of the Daleks being recorded is nothing short of amazing. The way everything is lit to the shots of the Daleks, shot from below looking up gives me chills. How amazing would it be to have a retro style series using the sets and props from this production? Sadly, not very likely but one could dream. There are a lot of great moments to the story that need to be watched but as Doctor Who starts to succeed, change is in the air; at the center of it is William Hartnell who just wishes that everything stays the same. He sees as successful series and doesn’t know why someone like Carole Ann Ford would want to leave. Finally, Verity moves on. 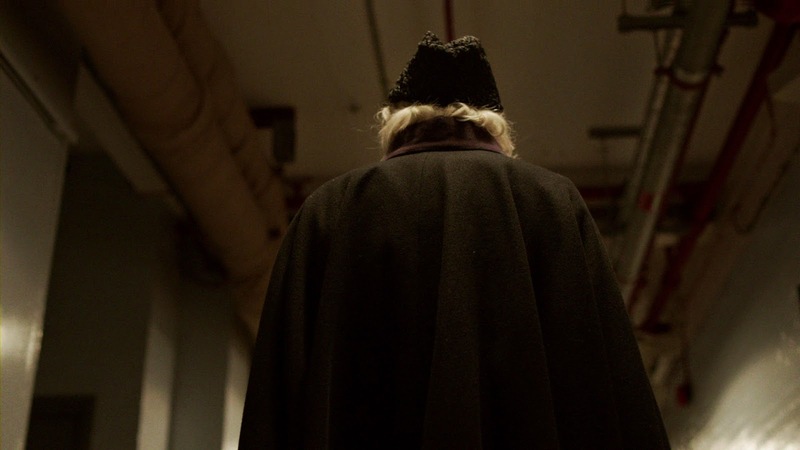 There is a great scene when she leaves; she and Hartnell have a moving dialogue about change. The inevitable happens that Hartnell is also changing. His health is deteriorating. As more and more people join the series, he is overwhelmed by the change. We keep getting treated to the photo call outside of Television Centre as the new companions are rolled out and finally he just stares into the camera. It’s all becoming a blur to him. Through his illness and the hatred of change of production personnel, he is deemed too difficult to work with and finally is told that the series is moving on but he was no longer going to be in it. It’s strange that Mervyn Pinfield and Sydney Newman are talking about removing Hartnell but Pinfield was off the series by this point and I really don’t think the news was broken to Hartnell by Sydney. Obviously, once again it is to simplify the story and simplify the number of people who actually had taken part in the series even by this point. At the end, whether completely accurate or not, we are treated to a scene where the role is “handed over” from Hartnell to Troughton at the recording of The Tenth Planet Episode 4. When watching it again, I am taken with how much the old guard is leaving with the new regime taking over. It is quite an odd revelation considering that there has been so many regenerations it has been taken for granted but this was the first one. 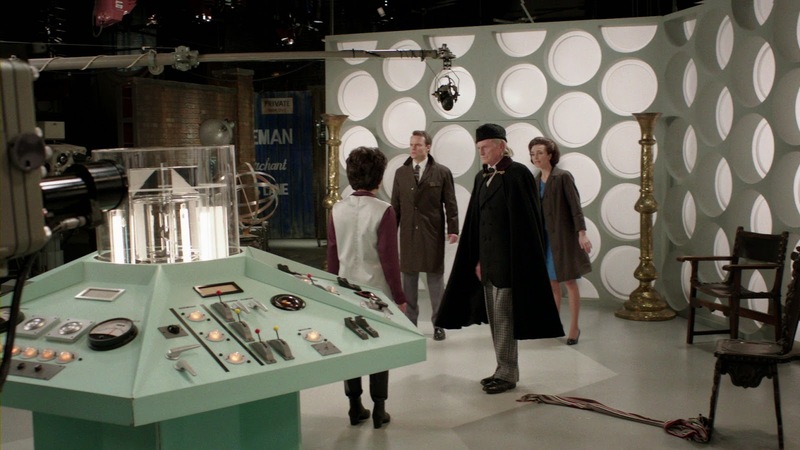 On the studio set was the stoically pleasant old guard William Hartnell in his costume one last time. On the other side was Patrick Troughton who didn’t really know what to do in the situation and trying to make light of it. It’s really cool we get to see this. There is also one other surprise in the scene that I will not ruin for those who have not seen it yet. It’s a very nice touch. The production itself is very well-made. It is slick and energetic without being mired in too much nostalgia. It has a lively direction from Terry McDonough. The attention to detail in the props is great. Never in the years of being a fan would I have thought we would have gotten a production like this on such a scale. This was made by people who cared. The opening on Barnes Common at night with gloomy fog and a dimly lit Police Box is special. Also the opening credits for the film using howlaround footage from the actual opening credits to Doctor Who was awesome! 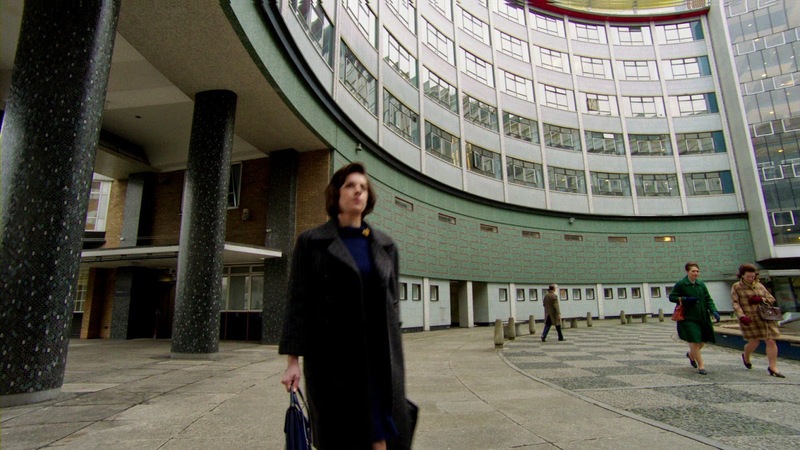 For me the highlight of the film was using BBC Television Centre. I have a feeling that the characters in this are very simplified versions of their real counterparts. There are so many of them competing for screen time! Sydney is really interesting. He comes across as a movie mogul. I do not doubt for a second he wasn’t larger than life. He really came in to ruffle some feathers at the BBC and he made change for good reason and not change for the sake of change. His reorganization of the BBC probably saved the corporation even before they knew they were in any trouble. Though, I am not entirely sure he ended every sentence with “Pop, pop, pop!” I could be wrong. Mervyn Pinfield also comes across as a very helpful resource to Verity. The film gives us a little hint to how brilliant he was as he basically created the tele-prompter. It’s hard to gage the roles of William Russell, Carole Ann Ford and Jaqueline Hill. They are in it to be supportive to the story. They don’t have a lot to do in it but they are pretty accurate looking to the production. 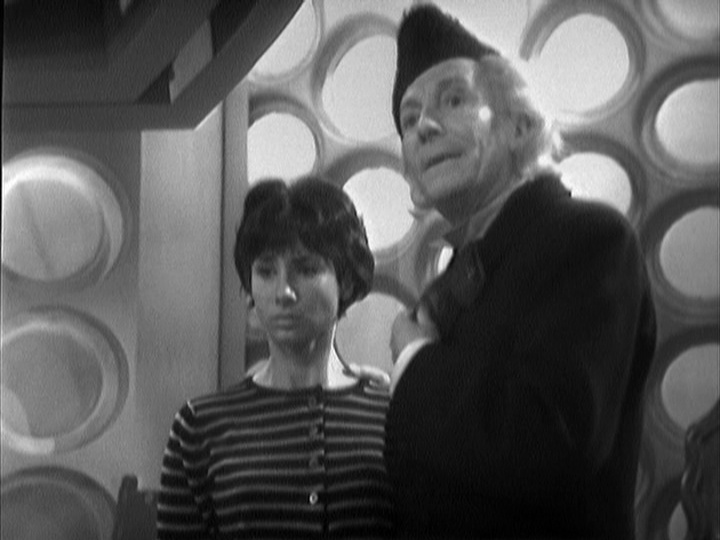 I thought Claudia Grant as Carole Ann Ford was great and got her mannerisms perfectly. Tenth Planet Cybermen on Polar Cap set waiting for Hartnell to turn up to record. The shots of the Doctor on the Polar Cap were filmed before studio recording and did not feature Hartnell in it but a double. Plus by this point in the series the frames on the TARDIS Police Box prop were now blue and no longer white and the St. John Ambulance badge had been painted over. 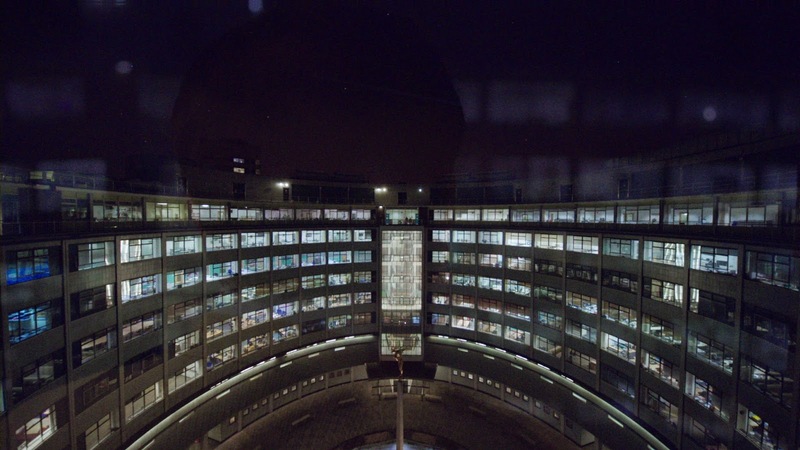 BBC Television Centre had a fountain in its courtyard and in later years taken out and given a glass over the pool area where the office below now had a glass ceiling. This shows the glass ceiling when it wouldn’t have existed back then. No, I didn’t really expect them to change it for this production. I mentioned above the Caveman being around for the studio recording of the Pilot episode. Lime Grove Studio D. It gives the impression that studio is on ground floor complete with a loading dock. Studio D was located further up in the building and needed an elevator to get the props/scenery up there. In fact, the Police Box was too big for the elevator. 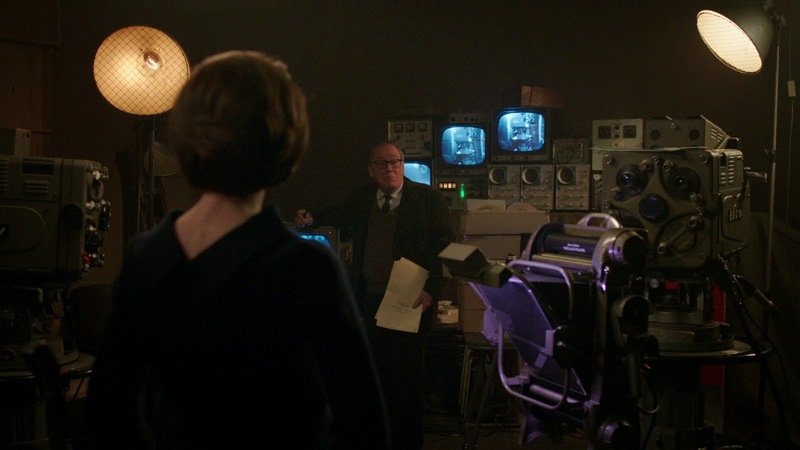 Speaking of Lime Grove, we are given the impression that Doctor Who resided purely in Studio D and the TARDIS control room was a standing set like it is now in Cardiff. That was absolutely not true. It was re-erected for each studio session and sometimes seen less and less depending on how much studio space was available. Rehearsals were also not held in studios but other places specifically for rehearsing. Actors would not see the sets until the day of studio recording. The vision mixer for the recording of the pilot was a bloke named Clive Doig and not a woman. Verity Lambert’s going away party was not on set of The Web Planet. She still had a great deal of time left as Producer before leaving. Once again, no standing sets would have been around. Even more shocking is one of the deleted scenes shows a Monoid from The Ark showing up at that party. It’s not even in the same recording block! Arghh!! I am also sure that Sydney Newman did not fire William Hartnell. I am sure that was handled by then-current producer Inness Lloyds. There is a more emotional connection to having Sydney do it but it didn’t happen that way. There are more but feel free to correct me on any of the above. The above does not take away the fun of the film but I am just having a little fun pointing it out. 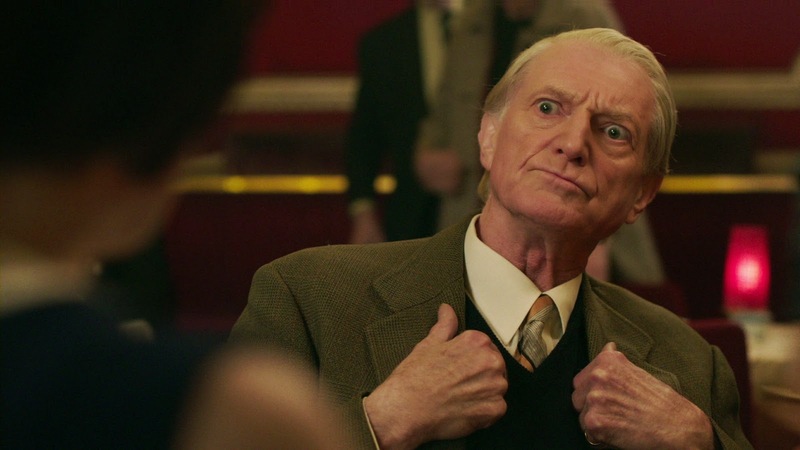 David Bradley (who is 72) appeared in Series 7 Dinosaurs on a Spaceship as Solomon and also provided some voice work on Sarah Jane Adventures in Death of the Doctor. Nicholas Briggs who has appeared in Torchwood and also does the voices for most of the monsters including the Daleks in the current series plays Peter Hawkins who was one of the original voices for the Daleks. 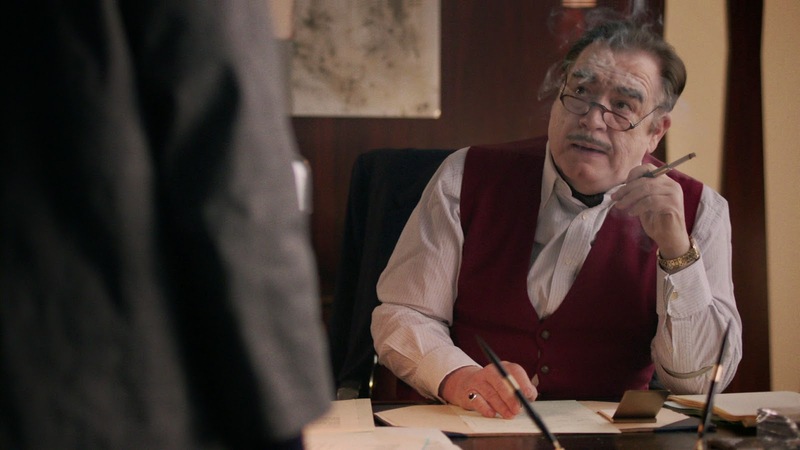 Jeff Rawle who played Mervyn Pinfield previously played Plantaganent in the Season 21 Doctor Who story Frontios. Mark Eden plays Controller of BBC Donald Baverstock played the iconic role of Marco Polo from Season 1 of Doctor Who. Toby Hadoke who has contributed to the Doctor Who DVD range by moderating commentaries and making some of the featurs plays the BBC bartender. At Verity’s going away party we saw Jean Marsh, Anneke Wills and Donald Tosh. Of course there is one other cameo…..watch the film! This is shot in HD and looks phenomenal. It is extremely useful when looking at BBC Television Centre and the TARDIS control room. There are some really nice extras on this set that not only give the story about the production of this film but is good about educating us on what we saw. I think the overall theme of my review is that we take for granted the context of when these events take place. The world was very different in 1963 and things we take for granted now were very ground-breaking back then. 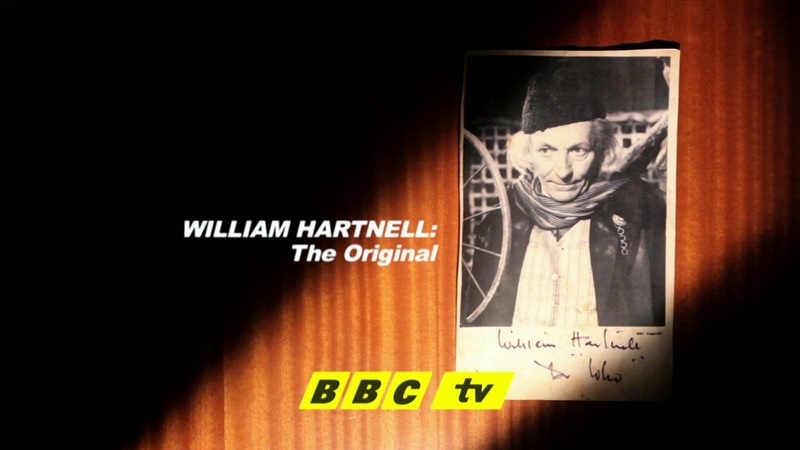 William Hartnell: An Original. This is one of those type of features I would expect to find at the end of a film shown on TCM. It is very sweet and nostalgic. It has interviews with people from the past such as William Russell, Carole Ann Ford and Peter Purves. It even includes some stuff from Terrance Dicks and Peter Davison which is nice to see. It also include some stuff from Matt Smith which is nice to see because it connects the past to the present nicely. We are easily reminded why William Hartnell was an original. 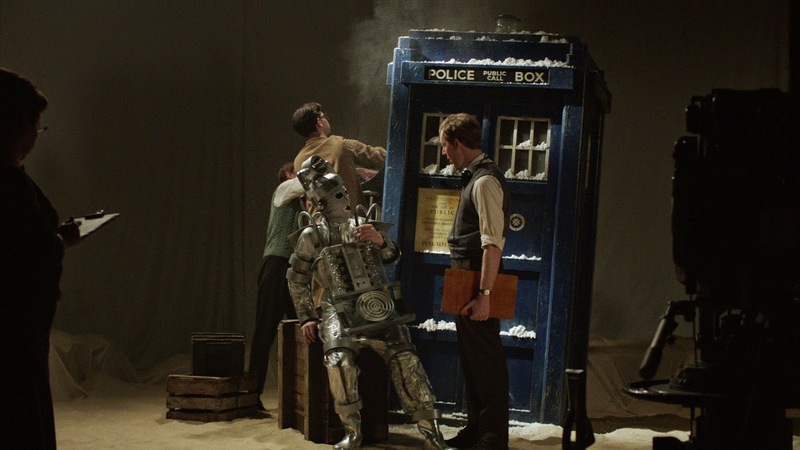 The Making of An Adventure in Space and Time. This feature is short and sweet but edited with a lot of energy that does not distract. Everyone has a huge amount of enthusiasm for this project. 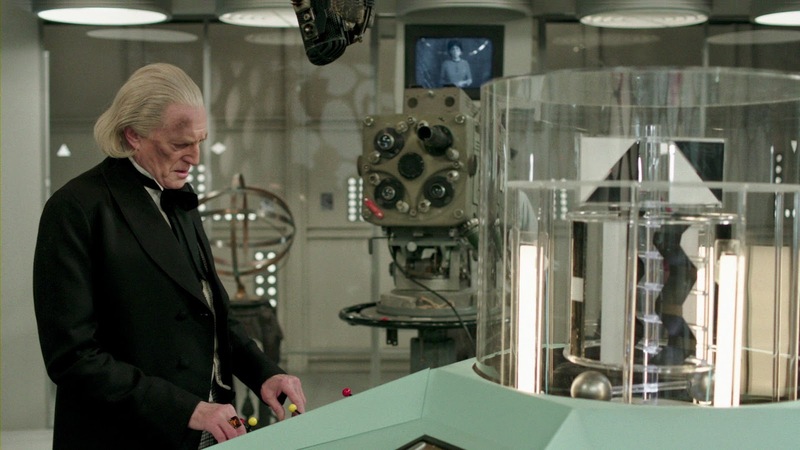 I wish we could have had something more about the re-creation of that wonderfully beautiful TARDIS console but it didn’t happen. I am still quite satisfied with this “making of”. An Unearthly Child Episodes 1 & 4: Both of these are from TARDIS interior scenes. Some shot on video cameras from actually used around the time the original production took place and others are not. It is interesting and there are some eerie moments when Bradley does a great job looking like the Doctor. Regenerations: We get regenerations of Hartnell into Troughton and Troughton into Pertwee. Pertwee is played by Mark Gatiss. It’s an interesting piece just to see. There was supposed to be a coda of sorts of recreating something for The Three Doctors with Hartnell, Troughton and Pertwee at the famous photo call. I am completely happy where this film ends and am glad this was never shot. Bradley is the only one who plays his respective Doctor well and what I had seen of Gatiss in Pertwee costune, I am happy just for the fleeting appearance in the extras. Farewell: This is the recording of the famous dialogue from Episode 6 of The Dalek Invasion of Earth. Overall I thought Bradley was great but what William Hartnell always did well was deliver his lines with a cadence that almost sounded like poetic. It was theatrical but very engaging. That is what made William Hartnell the Doctor. Festive Greeting: The infamous scene from The Daleks’ Masterplan Episode 7 The Feast of Steven where the Doctor wishes everyone at home a Merry Christmas. It’s all a bit meh for me but we see a few takes of this and the last one is pretty funny. There are deleted scenes which in a couple of cases are full versions of scenes that are in the film. 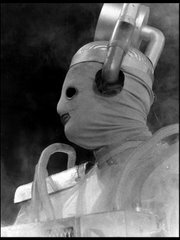 The only one that is a true deleted scene is the one I mention above with the Monoid showing up at Verity’s going away party. Here is possibly the most interesting extra of them all. As I have worked with the folks at BBC Home Entertainment for the last couple of years, this is only something they would do. I say this because they really care about their product and they actually really do care about the fans of the series. I say this because I have seen them mentioned by name on forums I go to and specifically about this release. Fans from the UK mentioning that they got in touch with the US BBC Home Entertainment office to see if there would be a Blu Ray release of this title. I kept hearing how nice, pleasant and helpful the people at New York office were to them. This is not news to me as they have put up with all my requests and questions for a while now and have been very helpful to me. This last extra is pretty cool. The third disc of this release is the very first Doctor Who story, An Unearthly Child. It includes all 4 episodes plus the pilot episode. It is actually the first disc from The Beginning boxset and it includes all the extras on that respective disc. While I have been writing this review, I have had it on in the background and I always seem to forget how compelling this story is, even with the cavemen. It actually has one of my favorite actors in it, Alethea Charlton. She plays Hur. A wonderful actor! This might be the longest review I have ever written but that is because I am smitten with this set. This could have been the docudrama just slapped onto DVD but not only is it on Blu Ray but BBC Home Entertainment went the extra mile to make this a definitive enjoyable set to celebrate the origins of Doctor Who. The retail price of $24.98 is extremely reasonable for the 3-disc set (Disc 2 is the DVD of the film) but I have even seen it in store at Target for $19.98. If you haven’t yet, go out and get it! Pop, pop, pop!